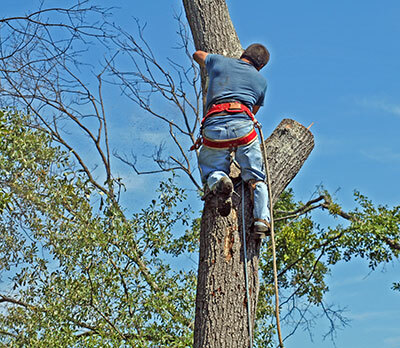 Virginia Beach Tree Service Pros has years of experience provides high quality tree trimming, pruning, removal and emergency services in Hampton, VA. Living as close to the coast we do, we get to enjoy beautiful natural scenery and landscape. Part of the beauty comes from our trees, which are numerous and diverse in our area. Being a full service tree care provider, we help our residential and commercial clients do everything from plant new trees, maintain their current mature trees, remove old trees, and completely clear their land to make room for new growth or exciting projects to take place. Let’s talk about our land clearing services, because that really encompasses a variety of work, including tree removals, stump removals, and sometimes some trimming pruning when necessary. There are many reasons why you may want your land cleared. Land clearing may be done when you want to prepare your land for building or development, for gardening purposes, for visibility, or maybe just to have a clean environment by clearing away unwanted bushes, trees, and shrubs. Whatever your reason for land clearing is, be rest assured that we'll make you satisfied and ensure that your land is ready for your next project. Our staff is expertly-trained on the proper use of heavy equipment such as bobcats, excavators, backhoes, bucket trucks, and more. Rest assured that all of our methods, equipment, and services are safe for the stability and fertility of the soil as well as the environment. We have a variety of tools to choose from and the expertise to determine which tools will complete your job quickly and safely. Once the trees, underbrush, and shrubs are clear, the cleanup phase begins. In respect of the land and the safety of the workers around, we do not employ burning of debris onsite. Rather, we haul all debris off-site for you. Doing so leaves behind only unperturbed soil beneath a protective layer of mulch. Especially in the cases of clearing for agriculture, this step is vital towards warding against corrosion or excessive dryness. If you are interested in thinning the trees rather than complete clearing on your lot, or if you have identified magnificent trees that you would like to work around (remember that mature trees can increase property value and the aesthetics of your completed project), our staff will selectively remove only the plants you choose. Our primary goal in the cleanup phase is the leave the land in the best possible state so your project can immediately commence. Whether you need full land clearing or one tree removed, at Virginia Beach Tree Service Pros, we are here to help regardless. For example, there have been times when we have gotten calls from our clients that need to remove a tree after their business, home, or property has been damaged. While we have effectively resolved these types of situations, we prefer to have our customers out of harm's way by removing the trees before any damage is done. Your safety is always our top priority, and we don't want you incurring more unrequired expenses. To learn more, contact our team today.